Life is an aging process. Each of us will go through it in our own way. How we lead our lives when we are old, particularly as we near the end, is, I believe, worth pondering. 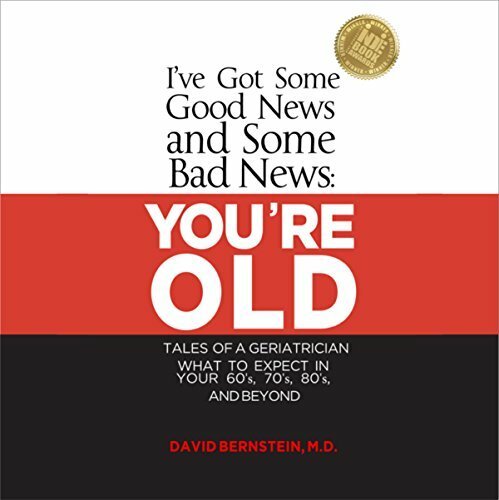 In this way, I've Got Some Good News and Some Bad News: You're Old serves as a guide for all of us as we age, providing topics for contemplation and discussion with friends, family, and colleagues. You're Old uses real patient experiences to explore what happens as we age - physically, mentally, and socially. The book also examines the tremendous abilities of medicine today as well as its limits and the social issues that adults in America face as they age.